I have been running a few posts to show people how they can travel from the regions via Avios, using BA partner airlines. I have already looked at routes on Vueling here and here. 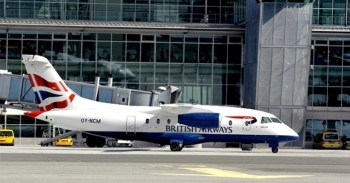 Sun-Air of Scandinavia is a low profile BA franchise airline running flights in Scandinavia. Sun-Air runs two routes from the UK regions into Scandinavia. It also flies from Manchester to Aarhus and Gothenburg. This is one flight with a stop in Gothenburg on the way. All 3 routes are available as Reward Flight Savers for 9,000 Avios plus £30. You can also fly from London, with a plane change in Manchester, for the same amount (although BA has its own LHR-GOT service anyway). 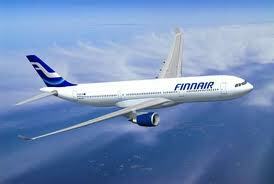 I have also been taking a look at Finnair‘s route network. Outside London, Manchester is the only UK airport they serve. The service is good, though, with 2 flights a day in each direction to Helsinki for much of the week. Unfortunately it is difficult to book MAN-HEL on ba.com using Avios because the website automatically defaults to MAN-LHR-HEL unless there are no BA options available – and BA does have seats almost every day! However, a quick telephone call to BAEC should allow you to get this booked. It is 15,000 Avios for a return Economy ticket and – whilst this is a BA codeshare flight (BA6003/4, BA6007/8) – I don’t think you can use Reward Flight Saver here to reduce the taxes, which are £73 according to ba.com. Helsinki is a lovely city to visit in its own right, but it is also a short ferry trip to Tallinn in Estonia which is also recommended. This is not the end of this series on non-London redemption options …. more to come. What happens when your points are stolen? Billund is the home of Legoland, which might be of interest to some. I will be doing the GOT-MAN flight this Sunday so will let you know how it compares to the normal BA product. I see there is now an Iberia Express to Madrid service from Edinburgh, which could come in handy for South American destinations.